With Mr. Peabody and Sherman’s WABAC time machine now public knowledge, the genius dog decides there is only one thing to be done: put on a TV talk show. 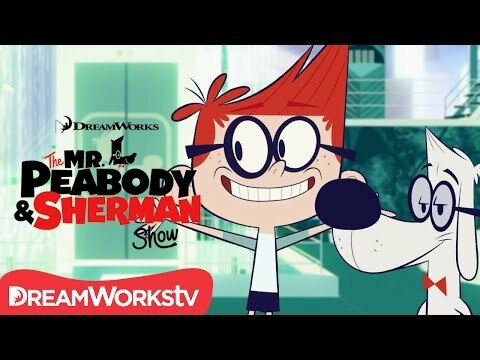 So, now Peabody and Sherman host just such a program from their penthouse apartment which recounts their improbably time traveling adventures. In addition, the duo also have various guests from the past, when they are not interrupted by their building neighbors or landlord.